The key to success is collaboration, and the Manistee County Visitors Bureau works closely with local, regional and state-wide partners to promote and grow tourism in the Manistee County area. Below is a sampling of a few of our key partnerships. The Pure Michigan tourism brand has done an excellent job putting the Great Lakes state on the map. State funding and partnership dollars from visitors bureaus allows the Pure Michigan brand to expand. 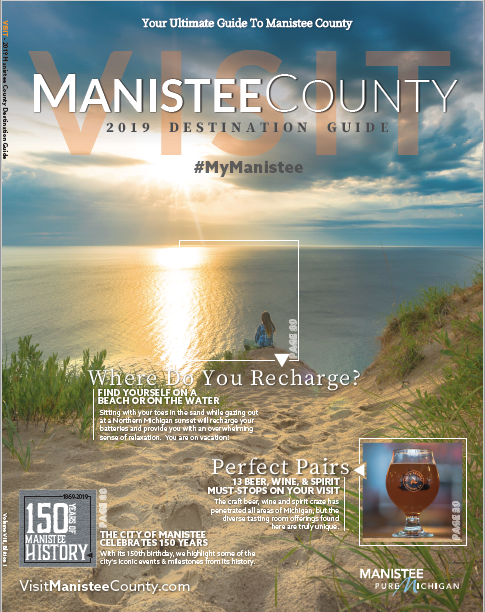 Manistee County is a proud partner and has found many excellent avenues to promote the region through the state tourism brand. Radio, Digital, Social and Print are all utilized at key times throughout the year to drive tourism to our Pure Michigan Partnership page as well as this (VisitManisteeCounty.com) and affiliate websites. The Michigan’s Great Outdoors Partnership consists of 5 counties in the Northwest Lower Peninsula of Michigan. Benzie County, Cadillac/Wexford County, Mason County and Newaygo County, combined with Manistee County have joined together to create a partnership centered on the recreational assets that are all shared in this region. The collaborative has two active websites that promote outdoor recreation in the region: NorthernMichiganTrails.org and NorthernMichiganScenicRoutes.com. It is the oldest tourism association in Michigan and Manistee is a proud member. Encompassing a geographic region from the southern boarder of Michigan through the upper peninsula along Michigan’s West Coast, Manistee County sits within the Northern Region of the 3 region association. WMTA is a key player in providing the Manistee Visitors Bureau with quality leads which can be followed up through a wide variety of our fulfillment techniques. Collaboration starts at home, and the Manistee Visitors Bureau teams up with our local bodies of business, economic development, non-profits and community organizations whenever it is possible to promote and grow tourism throughout the region.